Every ASP.NET developer (or at least most of us) wants a lot of visitors to their web sites. Google, Yahoo and other search engines can send plenty of visits especially if your web site is shown on first page of their search results. And vice versa, if your web site is shown on thirtieth page or not indexed you will not see any benefit of search engines. Because everyone wants to win first page there is strong competition and you need to take care of every factor that affects how much your page will be friendly to search engines. There is more than a 100 important factors used from search engines to rank page. Most of them are just speculations, since Google, Yahoo and others don't want to reveal its ranking algorithm. Also, their algorithms are changed very frequently (a hundreds of times yearly) to improve user experience and provide correct results. Even Google has not capacity to manually change page ranking if they think that some page should be better or worse ranked. Instead, they try to find out what mistake in algorithm caused wrong ranking and try to correct it on that way. Because of that, Search Engine Optimization (SEO) is very dynamic field, but basics and most important things are still the same. Page.Title = "My unique and keywords rich title"
When someone uses Google search, query terms will be showed as bolded text in search results. Because of this, you need to place targeted keywords in title to make it noticeable and therefore get more clicks to your site. Of course, to get a visit your title must please human visitors too, not just search engines. You can't just list keywords in title without any meaning. Instead of that, let your title tags be a precise descriptions of every single page and you'll be fine with both search engines and people. Don't use too long titles because search engines will truncate it anyway. Keep title under 65 characters long. metaDescription.Content = "Short, unique and keywords rich page description." This approach will also work if you use master pages. MyPageHeader.InnerText = "This Is My Catchy Header"
There are also important <h2> and <h3> tags that you can use for sub headers and <strong> tag to make some keywords more significant in text. 1. Temporary redirection, returns message "302 Found". This redirection should be used only when necessary, very rarely for search engines optimization. 2. Permanent redirection, message returned is "301 Moved Permanently". 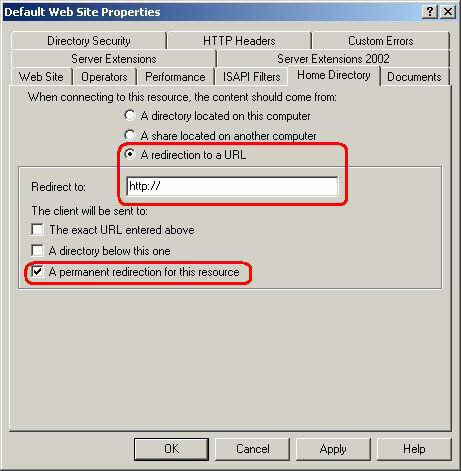 This redirection tells spiders that page or site is moved to another url. It is used in SEO to transfer link popularity to new address. If you must use a postback, then provide alternative way of navigation, with simple plain hyperlinks. This can be implemented in form of site map. Site map could be a page that contains listed links to all pages on web site. When web spider visits site map page, it will find all other pages easily. Web spiders don't like query strings parameters in urls. If you are getting some data from database, it is common to use query string like ShowProduct.aspx?id=23445. Although this url looks logical from programmer's perspective it is not user friendly and is usually not ranked well on search engines. You need to use urls that contain keywords separated by hyphens. So, instead of /ShowProduct.aspx?id?=23445 should be something like /My-Product-Name.aspx. Url that contains keywords is easier to read by human visitors and is better ranked on search engines. Also, site with SEO friendly urls is more secure since you can hide id or even file extension. Url rewriting in ASP.NET can be implemented on many levels, directly on page, in Global.asax, by using a custom HTTP module or HTTP handler, on level of web server etc. If you are interested in url rewriting with HTTP module or HTTP handler check URL Rewriting in ASP.NET tutorial where both methods are explained. To get fast results you can try http://urlrewriter.net/. This is free open source URL rewriter for ASP.NET written in C#, easy to use and used in many large and small sites, including this web site. Page.MetaDescription = "This is my great page"
This is common problem. Since www. is just a subdomain, search engines could see duplicate content and split the reputation between www.example.com/Your-Page.aspx and example.com/Your-Page.aspx. It is much better to have only one link on first page than two links on thirtieth page. Allow only one link to the same content. If you discover that visitors could navigate to same content through few different urls, use 301 redirect to focus all ranking to one url. The solution could be to set cookieless attribute to false, and provide a way to spiders to find all content through simple links. As you see, it is very easy to make ASP.NET web site that is invisible for search engines :). Just use Button or LinkButton controls for navigation and nobody will find your site through a Google search. In opposite, to receive maximum of traffic from search engines you need to follow their rules and be more search engines friendly. I hope I explained well some basics of search engine optimization (SEO) for ASP.NET web site. If you are interested to find more about this subject, especially if you build commercial web sites, check Professional Search Engine Optimization with ASP.NET: A Developer's Guide to SEO (Wrox Professional Guides) book. There are many other books that covers search engine optimization but this is focused to specific ASP.NET SEO issues. Finally, all this technical tips and tricks are irrelevant if you haven't quality content inside of your body tag. If your content is great, people will link to your page naturally. Incoming links from relevant sites are the most important factor for ranking. I hope you found some interesting ideas in this tutorial. Happy coding!